Below are 14 key areas to consider when staging a trail running camp, or when selecting a trail running camp to attend. Program: Provide specific camp details including duration, audience (ie: beginner, intermediate, advanced, or mix), and types of trails to be run (terrain and elevation). List all pertinent information on camp website, in promotional materials, and post full daily schedule at the camp. Include at least one session on trail running for beginners (if there are any first-timers). Topics to be covered include trail running and racing etiquette, sustainability and volunteerism, trail running and racing tips and techniques. Registration: Offer a simple, user-friendly registration process with details on deposits, due dates for full payment, as well as a refund policy. Be available to potential campers via e-mail, or by phone should any questions arise about the camp or registration process. Lodging & Meals: Outline type and style of lodging. Request specific dietary needs of campers and fulfill these needs within the menu. Complete menu and meal times should be provided in advance of the camp. Apparel & Accessories: In a confirmation letter, provide a list of all items campers are required to bring to camp. This list should include toiletries, in addition to suggested trail running footwear, apparel, and accessories (ie: hydration system). Include details about anticipated weather conditions. Transportation: Explain transportation options for campers traveling to the camp. Outline which costs are covered in camp registration, and which costs are borne by participant outside the camp registration. Provide a transportation plan while campers are at the venue to and from the trails. Participant limits: The director/camper ratio should be no greater than 5 to one. Camp must have a set entry/participation limit and those limits must be publicly shared and adhered to in advance of the camp. Minimum age requirements should be addressed in literature as well as gender-specifics (is the camp for men only, women only, or mixed). Safety & Permits: Include a procedure to monitor campers on every run/hike, ie: provide group stretching/check-in at start of run/hike. Campers should carry individual health insurance, provide contact for emergencies, and alert director to known medical issues/concerns. Event directors must carry event insurance that covers participant’s’ liability and accidental medical for participants. Participant liability waivers should be included for the event and signed by all participants. Waivers should try as much as possible to outline specific dangers a participant may experience on course including, but not limited to: tree roots, uneven ground, wet areas, sandy areas, steep ups or downs, conditions that may create uneven footing, steep drop offs next to the trail, obstructed views of the course, snow or ice on course, dangerous weather conditions, flora and fauna, falling objects, etc. Obtain all necessary insurance and permits (for both public and private land use). Logistics: The routes utilized will be accurately marked and/or it will be indicated that the course is on especially rugged and/or on sparsely marked terrain. Provide a route map and profile in advance of the run/hike. Consider different ability groups and modify route(s) to accommodate their levels to keep the runs on schedule. Sometimes adjustments are made on the routes, depending on how well the campers adjust to altitude, terrain, and weather conditions. Camp directors can research routes in advance using our Find a Trail tool powered by Trail Run Project. Staff: At least one of the camp coaches should have a current CPR / First Aid certification (National Parks Service and other authorities require this for commercial use permits). Provide bios of the camp director and staff to all campers in advance. Environmental Awareness: The camp should be environmentally responsible. Campers must stay on marked trails. Camp director should make an attempt to position recycling/garbage bins properly and/or limit the amount of disposable waste created by the camp. For more information about making a camp more “green,” contact the Council for Responsible Sport. Leave No Trace is another resource with information on outdoor ethics. Swag/Giveaways: although not a must, providing campers with swag is encouraged. Portable Music Players: develop responsible safe policies regarding the use of portable music players, and clearly share these with the participants. These policies should consider safety, insurance or permit limitations, and the needs and desires of all participants. Resources: ATRA individual membership should be included in the registration cost for every camper (single membership for couples). 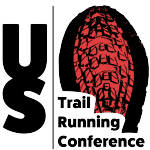 Provide a listing of trail running resources including publications, or websites. 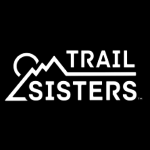 Provide ideas on how campers can connect with others in their community to trail run, or how they could start a trail running group or program in their hometown. Follow-Up Survey: In an effort to improve your camp, gather feedback using a post-camp survey. STEP 1: Review the standards on this page listed above. 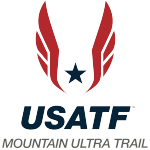 STEP 2: If your camp meets the criteria outlined, copy and paste the ATRA label/logo below and place on your website and/or in your printed race materials with a hyperlink to this webpage. STEP 3: Let ATRA know (contact richardbolt at trailrunner dot com) that your event is using the ATRA Camp Standards label so it can be included on the ATRA online calendar. STEP 4: Consider joining ATRA as a corporate member. Visit our membership page for information on becoming an ATRA corporate member. Find a list of trail running camps on our Resources page.